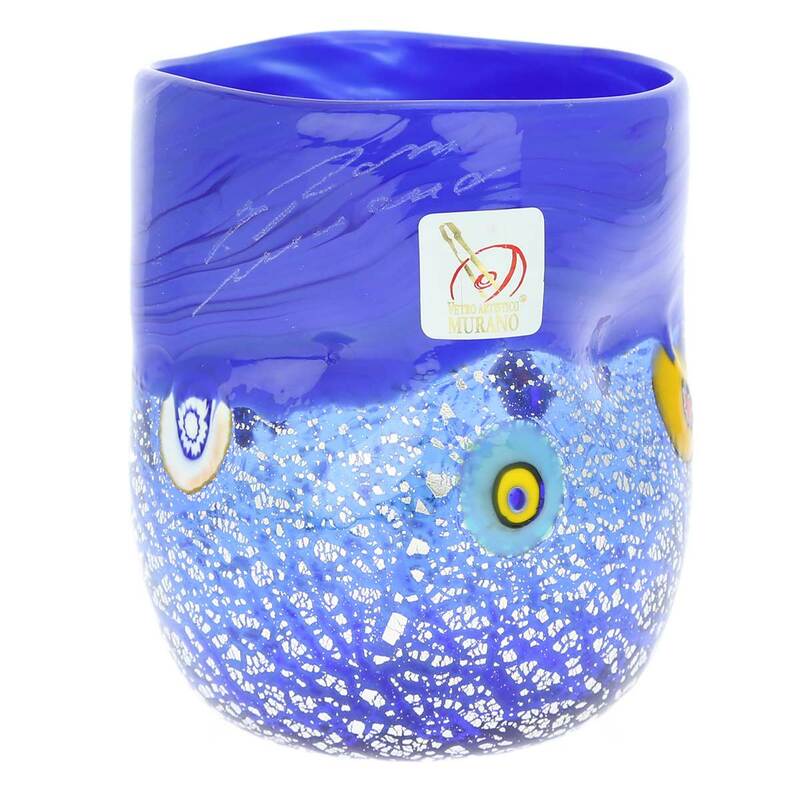 This one-of-a-kind Murano drinking glass born in the fire of the famous ancient Murano glass furnaces will make you feel like you are dining in a classy canal-side Venetian restaurant. 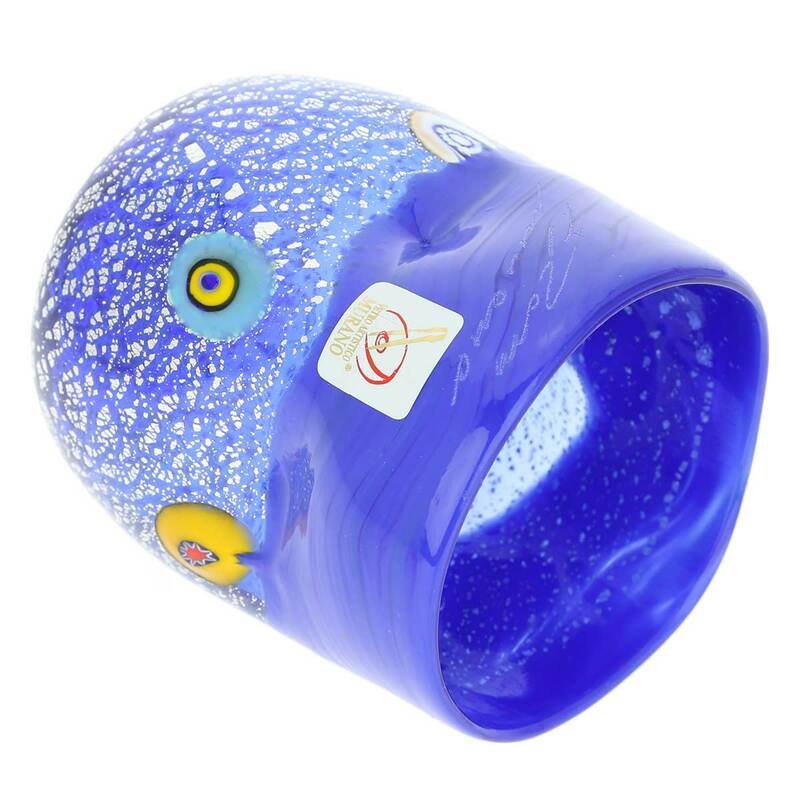 Festive colorful millefiori mosaics scattered against blue cristallo glass sprinkled with sparkly pieces of embedded silver foil are complemented by a band of rich blue color at the top for a trendy, artistic, and elegant look. 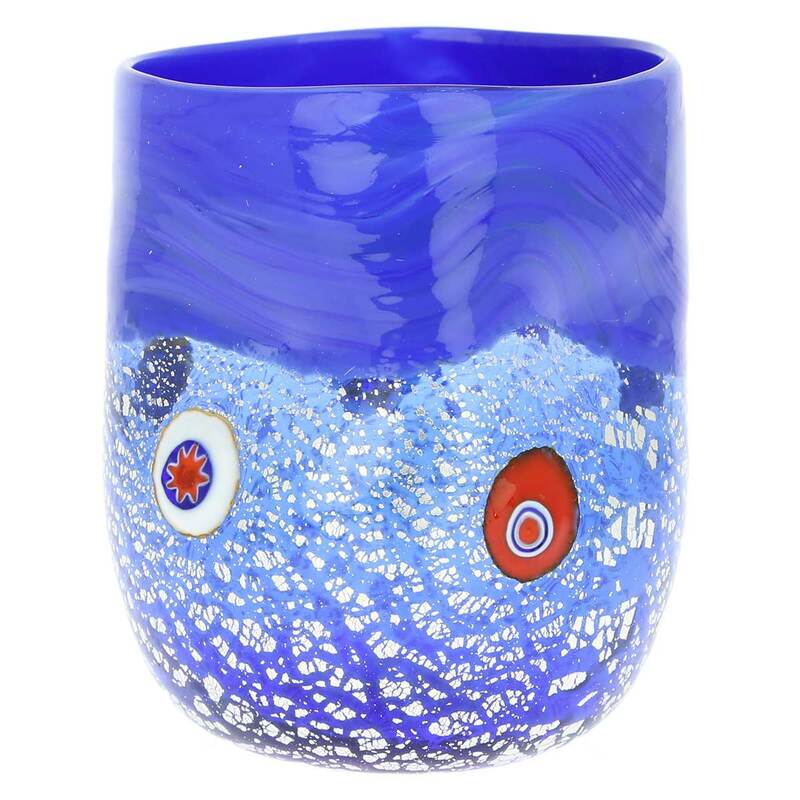 These unevenly shaped glasses are great for water or soft drinks, highball cocktails, mixed drinks, and offer a perfect way to add famous Murano artistry and Venetian sophistication to your dining table. 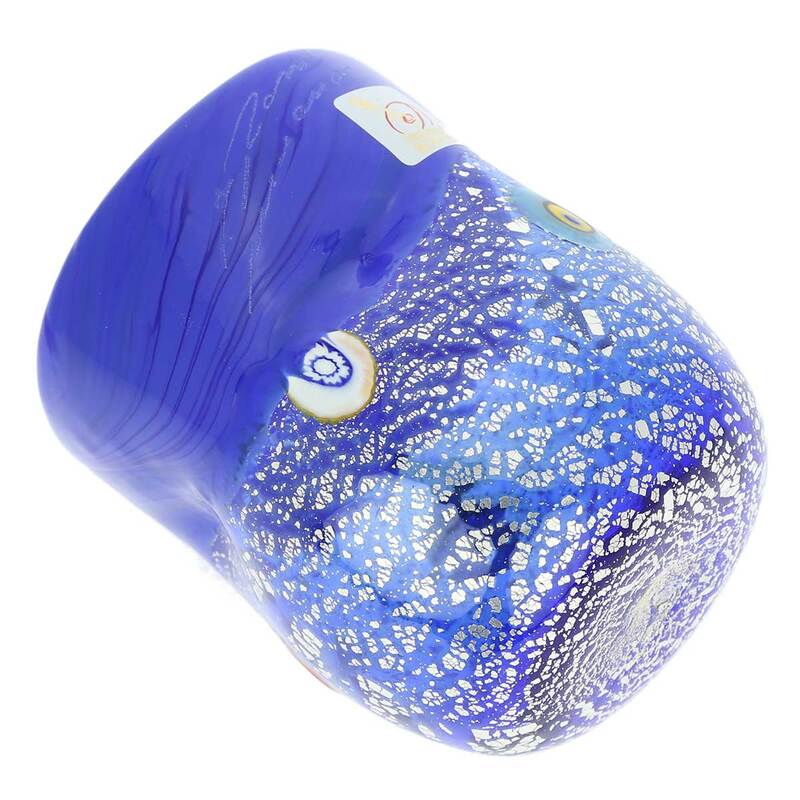 This gorgeous Venetian drinking glass, or a set of them, also makes a uniquely appropriate luxurious gift to the special people in your life, as it is truly a one-of-a-kind piece of art. 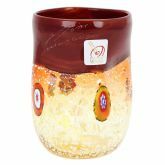 Because each item is a unique work of art made by hand, slight variations of sizes, colors and patterns are possible.